A holistic approach for the network revolution in production environments. The Smart Industry market is developing at a rapid pace. According to a study by PWC, German industry intends to invest €40 billion a year in applications and network components by 2020. Companies thereby hope to increase efficiency and cut costs, as well as achieve qualitative advantages, such as greater flexibility and the possibility of catering for customers’ individual wishes. The German government has also realized the importance of this trend for Germany’s SME sector and launched the Industry 4.0 Future Project. It is intended to enable German industry to be fit for the future of production. After all, the trend is moving toward highly individualized products under the conditions of highly flexibilized production, including in Critical Infrastructures. As part of that, customers and business partners are directly integrated in business and value added processes. Thanks to intelligent monitoring and decision-making processes, companies can control entire value-added networks in real time by means of the Internet of Things (IoT). Smart processes, automated small-scale production, lasting quality assurance or innovative working time concepts – companies are developing new business models on the basis of the Smart Industry. The foundation for that is gradual digitization. Yet companies also have to overcome numerous challenges. Because the Smart Industry revolutionizes networks in production environments. The core objective is to ensure elementary instances in the value chain of industrial companies can communicate with each other in real time by means of digital networking. That means the Smart Industry must not be regarded as a concept that stands on its own. Cross-location networking of partners in the value chain in real time must start at the development process. The euromicron Group therefore develops a holistic approach and the related processes for its customers and implements it in a forward-looking way that protects investments. A highly available, fault-tolerant network infrastructure is a crucial success factor here. 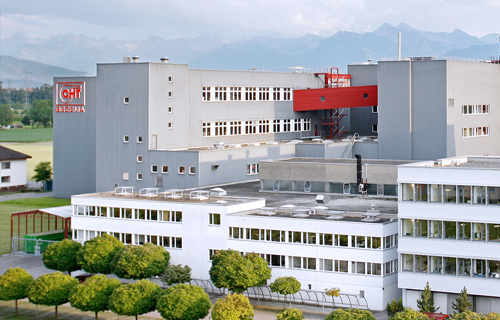 In networking and automation of digital business processes, the euromicron Group mainly sets store by a comprehensive risk analysis, develops a security strategy that is compatible with the Smart Industry and supplies applicable solution approaches to ensure that production runs at a high level of performance and is also securely networked with the IT. ELABO GmbH, a euromicron Group company, presents concrete use scenarios for the Smart Industry in its showroom in Crailsheim, Swabia. Production of the future might look like this, for example: A box flashes on the workbench. A young lady with data glasses removes a screw and places it in the printed circuit board in front of her. The screwdriver buzzes shortly. The young lady says “action continue” and the component before her moves one station further on the assembly belt to be controlled by a camera. In the meantime, a robot arrives with fresh screws. “Thank you, Fifi!” The robot vanishes again. The Smart Factory for industrial production: digitized, networked and remarkably clever – and up and running in Crailsheim! The Platform Industry 4.0, which operates under the leadership of the German Federal Ministries of Economic Affairs and Research and aims to secure the competitiveness of German business by systematically supporting the digital shift, has placed ELABO on its interactive online map of Germany for application examples of the Smart Industry. The map, which is published on the platform’s Internet site (www.plattform-i40.de), shows locations where the idea of networked production and value added processes is already being put into practice and so are regarded as prime examples of the digital economy. Anyone interested can find more detailed information on ELABO’s Smart Industry approach at www.elabo.de. You can also register for a tour of the model factory there. 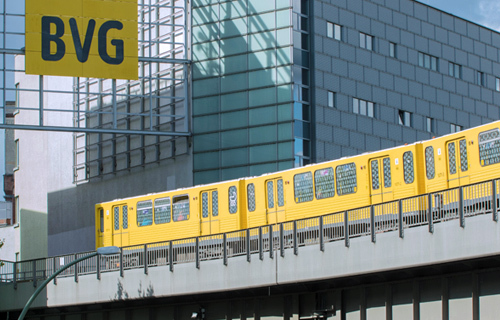 Cutting-edge workplace and Smart Industry solutions from euromicron’s subsidiary ELABO deliver ideal work convenience and rigorous improvements to the process organization at the service workshop of Berliner Verkehrsbetriebe (BVG). The digitized world means we have to learn a lot. How are production and information technology converging? By using the data management software EIM (Elabo Information Management), students at vocational colleges are prepared to tackle the opportunities and challenges of a Smart Factory and Industry 4.0. If a company decides to deploy industrial switches, a rugged solution is needed. 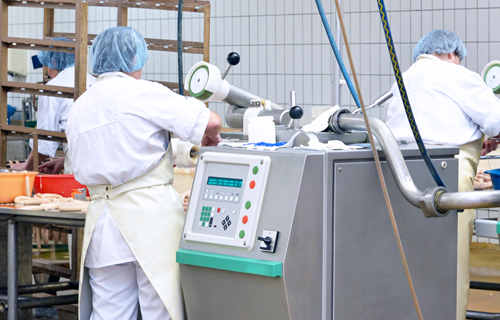 The meat producer Westfleisch leverages several parameters of MICROSENS product specifications to the full: The switches are operated in cold or deep-freeze stores, in supply ducts for steam or warm water, and even in a narrow sewer shaft. 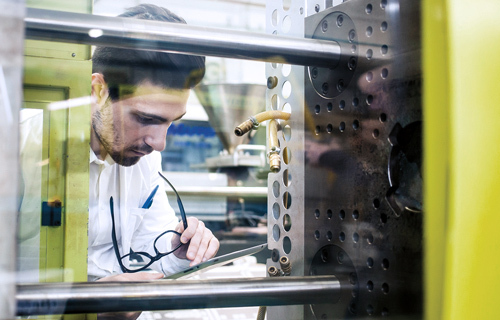 BEZEMA AG, an international company that operates in the field of specialty chemicals, wanted to protect its data with a new, state-of-the-art firewall solution. euromicron implemented a system that significantly increases IT security, yet slashes the work involved in administration.